Denver is famous for its easy access to the Rocky Mountains, urban cowboys and upmarket shops and restaurants. Whatever brings you to this fine city, spending a lazy hour or two over brunch should definitely be on your list of things to do. Hip and trendy and offering some of the finest breakfast chow in the city, the Snooze Eatery is bustling food joint in downtown Denver. Snooze serves up a creative twists on America’s favourite breakfast classics in a casual, friendly and vibrant atmosphere. Diners – known as “Snoozers” – can choose from Breakfast Pot Pie’s, Breakfast Burrito’s and even Chilli Verde Benedict amongst other delicious dishes, from a menu that is tailor made to appeal to the people of Denver. A first come, first served, reservation free delight for those looking for to really enjoy the most important meal of the day. Offering a contemporary take on the classic pancake house, Syrup smothers almost everything with freshly sautéed fruit or marvellously melted cheese, adding a real feel-good factor to breakfast in downtown Denver. Choose from Syrup’samazing freshly made pancakes with handcrafted syrups, french toasts and waffles for sweet toothed aficionados or go meaty with a plate of their delicious corned beef hash and green chilli. Syrup also offers a wide range of gluten free dishes to cater for everyone. With their signature Elevated Breakfast collection, the Morning Collective offers well crafted traditional breakfast fare, fused with modern innovation. Diners can choose from a single small serving of molten French toast and fresh pancakes or enjoy something more substantial like their highly renowned “Three Lil Pigs” that blends eggs Benedict with coffee braised pork belly, ham, and bacon hollandaise. If you visit, be sure to also try their Sunrise Elixirs – exquisitely made juices that take liquid breakfasts to the next level. A true Denver favourite, The Denver Biscuit Co serves up Southern fare with a twist. Buttermilk biscuits are rich and filling and come with a wide variety of sides and flavours, all as mouthwateringly delicious as the next. 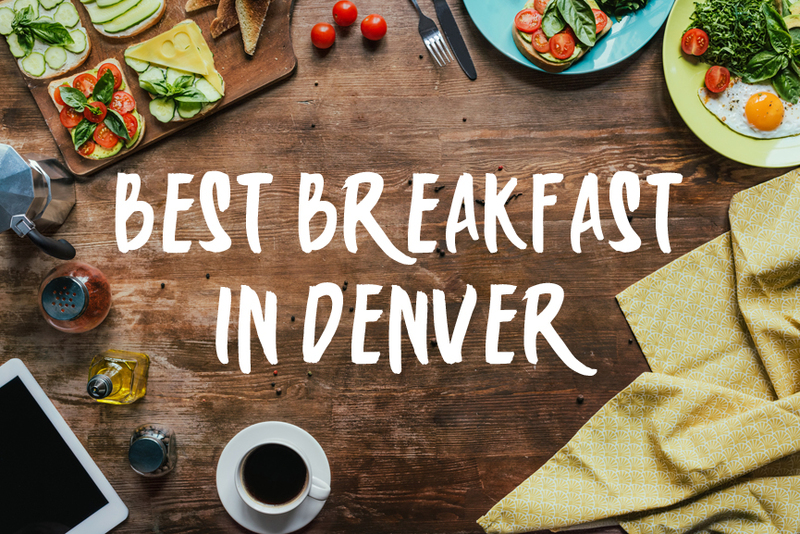 Choose from homemade sausage patties with apple butter for a filling treat or choose rock shrimp and grits for the best breakfast bowl in Colorado. Whatever you opt for, portions are generous and the food is genuinely delicious. A neighbourhood diner serving up excellent breakfast and brunches with a laid back, family-friendly atmosphere. Owned by four Denver neighbours who designed Four Friends Kitchen to fill a gap in the market for good food without too much fuss, the diner offers Southern-inspired, contemporary American comfort foodfor breakfast and brunch. Choose from overnight grits, smoked brisket hash and eggs and a wide range of other uniquely delicious morning fare, for you and your friends and family to enjoy. Established in 2014, the Sassafras brand is bringing Southern comfort food to the heart of Denver. Dishes are created using only the very best locally sourced, organic ingredients, yet you can walk away with a full belly without denting your wallet. Diners can enjoy Southern style treats like Deep South Benedict or Buttermilk pancakes, or enjoy a taste of Louisiana with New Orlean grits and BBQ shrimp. The restaurant is laid back and perfect for long lazy brunches on hot Denver days. Set in aquiet neighbourhood, Olive & Finch cooks up delicious food made from scratch in a quaint, casual setting. Bringing new life to some traditional dishes, diners can choose from polenta and egg, classic breakfast plates and hash potatoes with a selection of meats, and a wide variety of other delicious goodies that will set you up for the day. They also offer a selection of beautiful baked bites and artisan coffees, all prepared in their very own kitchen. Enjoy power breakfasts in the fast lane in this historical haunt in downtown Denver. Ellyngtons is located within the The Brown Palace Hotel and services an upmarket crowd looking to fill their bellies at breakfast time. Their extensive menu offers traditional fare such as Eggs Benedict, Lemon Poppy Waffles, Brioche French Toast and a Lobster Scramble, all served up in sumptuous surroundings in one of the cities finest hotels. First class service comes as standard at Ellyngtons. Onefold is a small eatery in Denver that focuses on providing their guests with homestyle food made as simply as possible. What they lack in ingredients, they certainly make up for in taste and everything is created using local organic, non GMO produce where possible. Breakfast favourites include their uber-filling breakfast burrito, freshly made frittata and the unusual rice based Congee dish for those looking to try something a little bit different. Any place with the word “bacon” in their name is probably a pretty good place to eat! This relaxed, social eatery offers the very best breakfasts and brunches in canteen style surroundings complete with a bar. As you would expect, most of the breakfast menu revolves around their thick-cut, super tasty bacon and diners can opt for a variety of different flavours including applewood smoked, BBQ or candied.